Gardaí investigating the fatal shooting of Clive Staunton are appealing for witnesses to contact them, in particular anyone with a 'dashcam' camera in their vehicles. Gardai have just held a press briefing at Leixlip Garda Station. They informed the media that Clive’s body has been removed to the City Morgue where a postmortem examination will take place this afternoon and a Garda Technical exam is taking place at the scene. 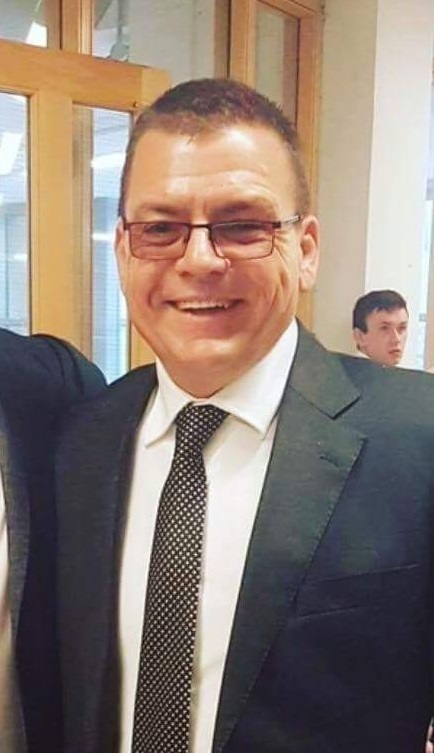 Gardaí are asking anyone who saw Clive Staunton or his van a white Mercedes sprinter 96D22788 which has a distinctive red stripe on both sides between Bath Avenue, Dublin 4 and Leixlip 8pm and 9.15pm on the 15th of November 2018, to contact them. "We would also like to speak to anyone who was in the Glen Easton estate Leixlip between 8.30pm and 9.30pm to contact Gardaí at Leixlip Garda Station. We are also appealing for information on the movement of a silver/grey Volvo S40 (old style square back) between Leixlip Co Kildare and Manor Kilbride Co. Wicklow," they said. Anyone with information is asked to contact Leixlip 6667800 the Garda Confidential Line 1800 666 111or any Garda Station. Supt Gerry Wall describes how the killing occurred. Superintendent Wall said that 30 detectives and uniformed Gardai have been investigating the killing since the incident occurred yesterday evening. He said that Gardai were aware that the deceased, a street trader who had attended the Ireland vs Northern Ireland soccer match earlier in the evening had left his spot outside the Aviva Stadium earlier than usual last night, and that it would one of the many points of investigation. He said that a gunman had approached Mr Staunton and shot him several times before "leaving him to die" outside his house. Mr Staunton was a widower after his wife died of cancer two years ago. The couple had a grown up son who was out of the country last night. Superintendent Wall said that the weapon used in the incident has thus far not been recovered.